VIP Quality Software honors multiple users' request and releases German version of VIP Task Manager, group collaboration software for task management, project management and business process management. The number of German-speaking users increased dramatically in 2008, because in the context of global financial crisis and economy recession the program helps companies to survive by optimization of all their resources. The number of German-speaking users increased dramatically in 2008, because in the context of global financial crisis and economy recession the program helps companies to survive by optimization of all their resources. VIP Quality Software honors multiple users' request and releases German version of VIP Task Manager, group collaboration software for task management, project management and business process management. "The number of German-speaking users increased dramatically in 2008, because in the context of global financial crisis and economy recession the program helps companies to survive by optimization of all their resources." VIP Task Manager is targeted at small and midsize business, government and non-governmental institutes, non-profit and educational organizations, as well as project teams, workgroups and company departments. All or authorized company employees can simultaneously access the common database to see, add, edit and delete tasks no matter if they work in the same office or at the other end of the world. Many companies in Germany prefer VIP Task Manager to other task management systems because it allows planning, tracking and reporting tasks, appointments, projects, and any business activities without significant learning curve. The program is useful for both management and staff as it lets managers to customize it according to their business requirements, while for executors it is a simple tool to get assignments and report task results in one click. From version 1.0 to version 4.0, which is released recently, a lot of useful features were added and improvements were made on requests of product users. At the moment VIP Task Manager offers not only the tool for increasing company productivity and performance, but also business templates and solutions for various industries and departments to achieve their strategic and tactical goals. At present VIP Quality Software productivity line consists of VIP Simple To Do List, VIP Organizer, VIP Team To Do List for personal users and VIP Task Manager for multiple users. 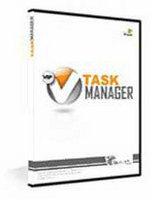 These programs provide users with productivity tools ranging from individual to corporate needs. VIP Quality Software is a privately held company, founded in March 2004 and headquartered in Odessa, Ukraine. The company specializes in development of task management, time management, project management and human resource management software. Its products are well-known in more than 50 countries of the world.